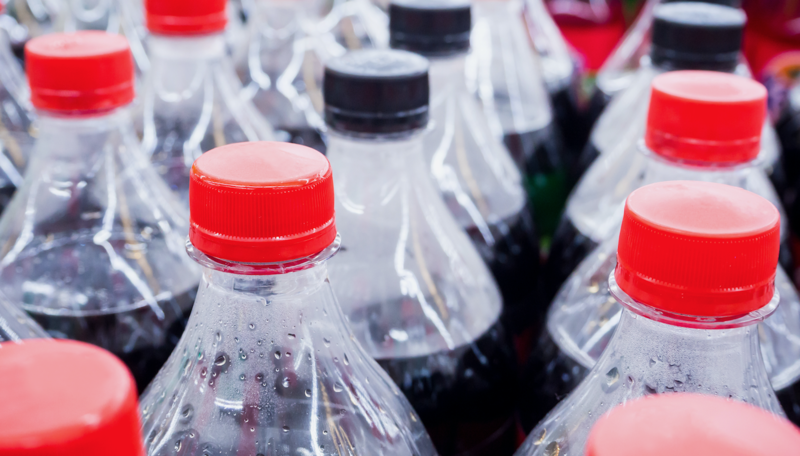 However, it is alarming what happens when civil society’s public health campaigns affect certain commercial interests, for example, strong oppposition from industry to cancel or stop tax proposals for soft drinks. The case of the Colombian CSO Educar Consumidores (Educate Consumers) reflects very clearly this habitual practice of high-level industry interference, to the detriment of consumer rights. Educar Consumidores officially became an organisation in 2011. Among its principal aims are research for action, social mobilisation, health education, communication, and high-level political advocacy. In December 2015, the organisation was structured into different teams to begin research processes on the topic of nutrition in the country. In its research, Educar Consumidores gathered information on the harmful effects of sugar sweetened beverages on health and built the basis of an argument that justified the need to establish a health tax of 20% on sugary drinks, for which a public impact and communication campaign was designed. In Colombia, soft drinks are often cheaper than bottled water and the battle for a health tax occurred in a key market for the sugar sweetened beverages industry. Educar Consumidores was able to launch its informative campaign on social networks and through some mass media outlets. Among the media that were paid for its diffusion, there was a veto of entry: the two main television stations with the highest ratings (RCN and Caracol), did not allow them to air the television spot they had produced. The organisation "knocked on other doors" and managed to get the spot aired on 12 cable TV channels. 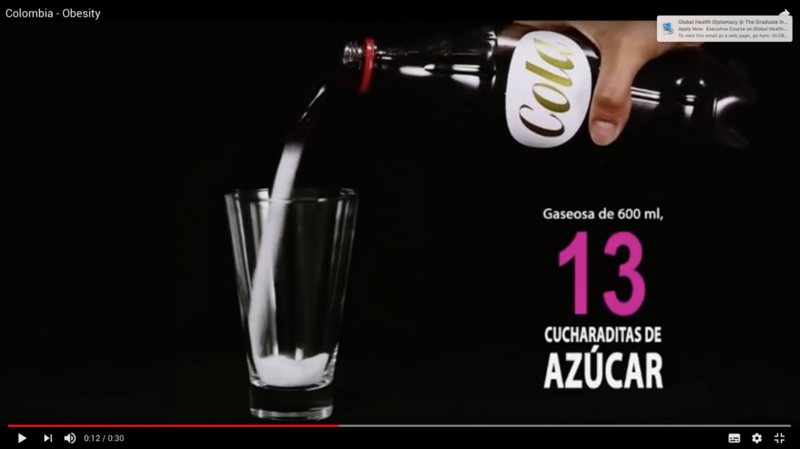 One week after being aired, Postobón, the leading sugar sweetened beverage company in Colombia, filed a lawsuit against the spot with the Superintendence of Industry and Commerce, alleging that it contained misleading advertising. A legal process of more than two years began, and Educar Consumidores had to face the great economic powers that their health campaign affected. Diana Vivas, attorney for Educar Consumidores, summarises the first results of this claim: "The Superintendence of Industry and Commerce adopted a very early decision, saying that in order to prevent consumers from receiving information that is not true, we were ordered to take the spot off the air and forbidden to talk about any topic that is related to the consumption of sugar sweetened beverages on any media or social network. So, we had to remove from our website and social networks all the information we had about sugar sweetened beverages, because otherwise we would run the risk of paying an extremely large fine." In response to this attack on freedom of expression and the right of consumers to know the health effects of the products they consume, both Educar Consumidores and the Alianza por la Salud Alimentaria (Alliance for Nutritional Health) filed for protective actions, requesting the protection of fundamental rights. The entire Educar Consumidores team took on the issue of taxes on sugar sweetened beverages, facing threats by the industry. The commercial sector came together to interfere with Congress and the media, with the cooperation of opinion leaders and social foundations, to avoid a discussion on health taxes. The protective actions were deemed favourable in the second instance in the Supreme Court of Justice, and the process continued in the Constitutional Court. In November 2017, the Constitutional Court ruled in favour of consumers and argued that the right to information had been effectively violated, ordering the revocation of the sentence that allowed the censorship. It also made a clear distinction between what constitutes advertising as opposed to public health information, establishing with its ruling a landmark decision, not only for Colombia but for the entire region. Last April, for the first time, the University of Columbia awarded the Freedom of Expression award to the Constitutional Court of Colombia for a court ruling that protects consumer rights. However, the cause behind and the path towards achieving this historical sentence were long and worrying processes. During more than two years that this legal process lasted, the Educar Consumidores team had to face, in addition to the legal attack, all kinds of informal intimidation: telephone threats, street persecution, tapping of equipment and telephones, and more. Not content with that, the affected sector attacked the director of Educar Consumidores, Esperanza Cerón Villaquirán, for a reference to a soap opera called "Azúcar", produced in the eighties by the RCN television network. The reference contained an image of the programme and the phrase: "It’s better to watch sugar than have too much of it". For this image, they suffered another lawsuit – against the director of the organisation – this time for copyrights. Due to a lack of political will and resources, it was never proven that the intimidation came from the sector affected by the campaign in favor of taxing sugar sweetened beverages. Jaime Arcilla, Colombian activist from the Corporate Accountability organisation and defender of the Convenio Marco para el control del Tabaco (CMCT) (Framework Convention for the Control of Tobacco), knows and has suffered from these practices of dubious legality and urges CSOs to report such cases. However, he also recognises that doing so can mean being seriously affected by retaliation by the industry. Arcilla says that it is essential that the CMCT precedent, which limits interactions at the political level with the tobacco industry and establishes precautions that counteract the interests of the industry, is replicated in similar scenarios, such as with sugar sweetened beverages. In general, the health community, including the WHO and its best practices (Best Buys), understands that an optimal way to generate resources for NCDs is health taxes – that is, taxing products that are proven to create a huge gap in national financial health systems. But Arcilla goes further and suggests that nations are responsible for recovering the health costs resulting from the irresponsible actions of these corporations. For civil society, the need is clear for an urgent call to action to expose the irresponsible actions of industry against health. However, both Jaime Arcilla and Esperanza Cerón argue that overcoming the fears that these pressures cause is often a large part of their public health campaigns. "Fear is good because it is a human feeling, but fear that paralyzes you, that is the fear you have to fight", says Arcilla. "I believe that the most revolutionary thing one can do in life is to overcome fear, because if I paralyze myself, if we are all paralyzed, they will win. They want to continue making the world into this horrible thing that the planet is becoming", Esperanza says. For decades, transnational industries have taken children and the most vulnerable communities as one of their main objectives, so NCD CSOs understand that, in addition to taxes, it is essential to start taking measures regarding the regulation of advertising, promotion and sponsorship of all products that affect, for example, childhood obesity. According to the World Nutrition Report 2017, the inexorable increase in the number of overweight and obese children and adults continues, and as a result the probability of meeting the internationally agreed objectives to stop the increase of obesity and diabetes for 2025 is less than 1%. Professor Majid Ezzati, from the Faculty of Public Health at Imperial College London, points out: "Over the past four decades, obesity rates among children and adolescents have skyrocketed worldwide." He further states that these troubling trends reflect the impact of food policies and marketing around the world, which have made healthy and nutritious food too expensive for disadvantaged families and communities. If the current trend does not change, a whole generation of children and adolescents will grow up with the burden of obesity and will have a higher risk of suffering from diseases like diabetes. When commercial interests prevail over collective interests, it is necessary to demand transparency and accountability measures regarding the interference of industries in decision making. Diana Rivera, director of the organisation Ellen Riegner de Casas, says it clearly: "Today we see governments that are financed by industries that produce risks; industries that are financing public policy processes. We need transparency, to see the participation of these commercial interests at the level of the ministries, their legislators, to identify those who finance their campaigns, and thus be able to really know how decisions are made." In September of this year, with the third UN High-Level Meeting on NCDs, a new opportunity appears for countries to make their commitments in effective measures for the control and prevention of NCDs. Ahead of this meeting, there is a general consensus among CSOs about the priorities: it is necessary to implement taxes against products that are harmful to health, along with regulations that protect the most vulnerable consumers, such as children. It is essential to hold the key industries that foment the NCD epidemic accountable; and it is essential to put people at the centre of attention (in regard to both access and coverage) in order to avoid the economic ruin produced by NCDs in families, with the main accomplice being the commercial interests of an unpunished industry. Analía Lorenzo has a Degree in Communication Sciences from the Universidad Nacional de Córdoba, Argentina. She has been a photojournalist for more than 20 years. She currently lives in Mexico City, where she has been specialising in health, gender and human rights issues. Her work as a journalist and for NGOs has enabled her to cover humanitarian crises (mainly in Latin America, although she has also studied African contexts) and design communication strategies based on international analysis.